The Creative Aurvana Live! 2 is the second incarnation of the Aurvana Live! 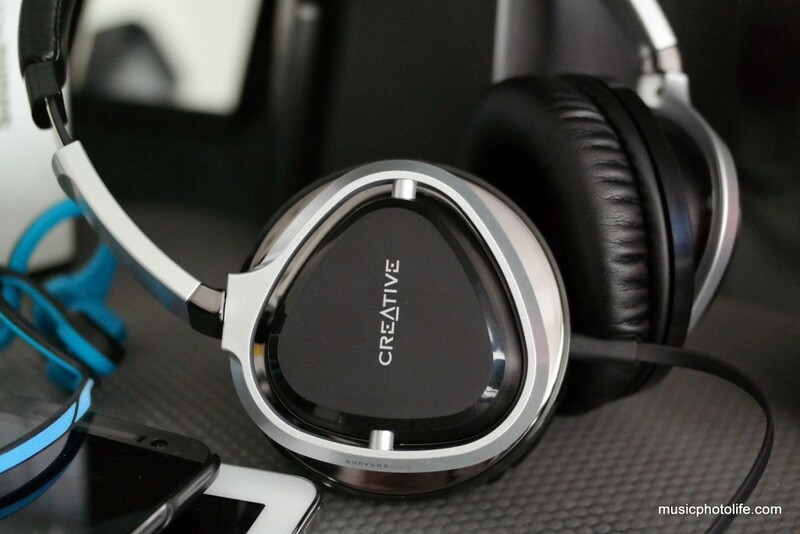 series and the first pair of Creative headphones I have reviewed. In fact, I was rather keen to get one during the recent PC Show due to its attractive show-price. But being very particular about my audio purchase, I decided to hold back until I get a chance to review. While the box labelled “Premium Headset”, I was surprised that the overall product is made of low-density plastic. I was also surprised to see an analogue in-line slider to control volume, which experience tells me could oxidise over time and cause audio crackles. Fortunately, the cable is detachable and easily replaceable. The earcups are large enough to cover my entire ears, alleviating pressure on them. The headband size is adequate without feeling too tight. Just like most over-the-ear headphones, noise isolation is inadequate, but the advantage is a more naturally spacious aural experience with larger speakers compared to in-ear. And naturally spacious indeed. When playing electronic pop tracks, the instrumentation and vocals are comfortably spaced out. Bass is impactful but similarly roomy, so you can feel the sub-woofer but without the unpleasantly tight and heavy feel (some listeners might prefer that though). Treble is warm and does not sound over sparkling, which is great for loud volume listening. Midrange is well-balanced against the highs and lows. Thank goodness for built-in mic, I can listen to music and answer phone calls without fumbling. And the cables are flat and non-tangle, though I’d wish Creative included a second longer cable for home studio use. Compared to the B&O Play Beoplay H6 headset I reviewed recently, the Live!2 is warmer, drives more bass, less sparkling treble, and a tighter soundstage. Compared to Sony MDR-Z1000, the Live!2 has more bass, less midrange, and a wider soundstage. Among the 3, the Live!2 build quality is the lowest, but so is the price. 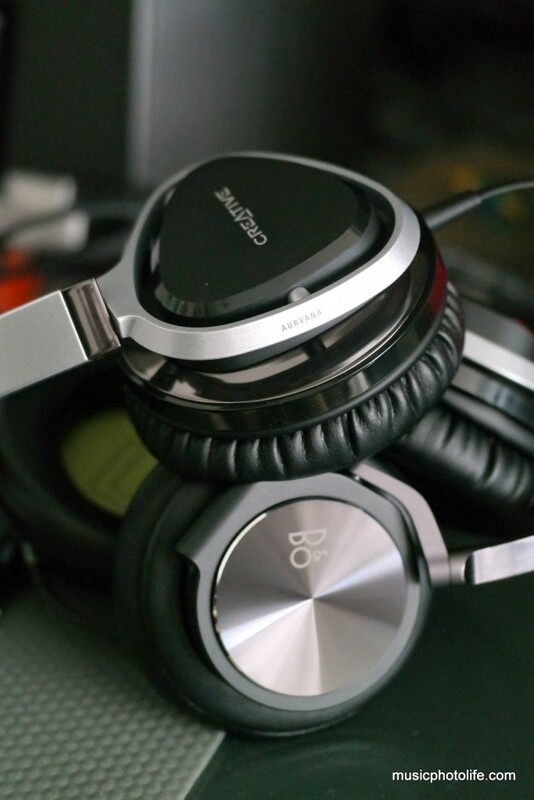 Yet, audio quality is the most suitable for modern genres thanks to a bigger bass presence. Beoplay H6 is a darling for classical, instrumentals, vocals and jazz, the Sony Z1000 has a flatter response with distinct midrange and tight sounds. If you prefer a little more bass for your headphones, the Aurvana Live!2 will be a splendid joy to listen to. Treble-lovers should go for Beoplay H6. With a big broad bass sound and a clear-enough treble over a spacious soundstaging, the Aurvana Live!2 delivers consumer-friendly audio with irresistible value. The Creative Aurvana Live!2 is currently on offer at the Creative Online Store for S$129.